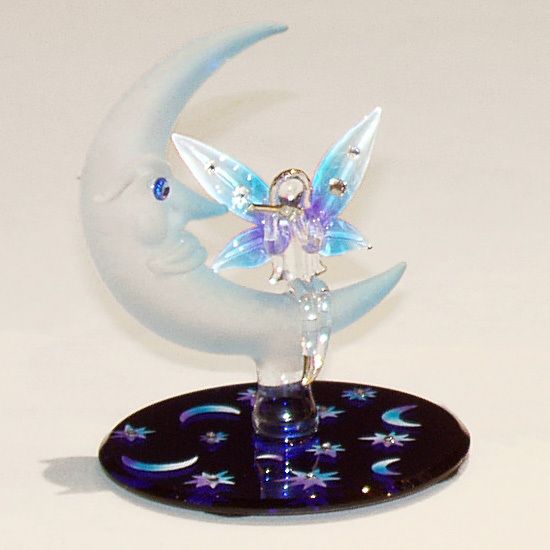 Hand-blown and sculptured glass fairy sitting on moon, decorated with crystals and mounted on a blue moon and star mirror. Copyright © The Glassblowing Shop. All Rights Reserved.